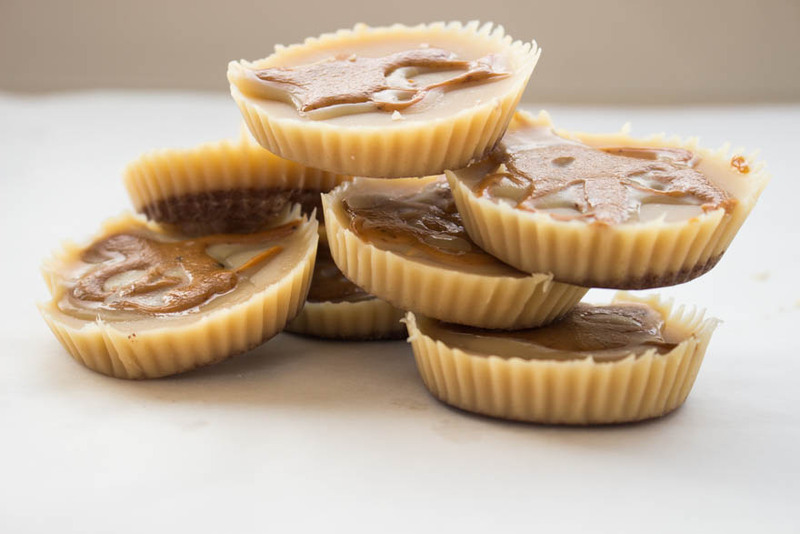 Salted Caramel and White Chocolate Cups - A delicious healthy treat! 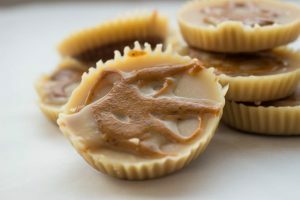 Tasting these Salted Caramel and White Chocolate Cups, you would never know I was on a “restrictive” diet. 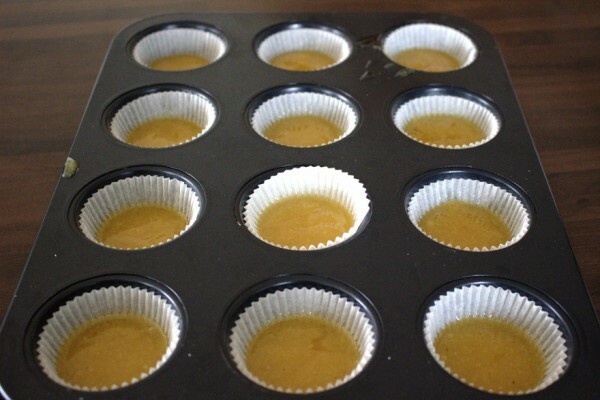 There is usually a batch of these in my freezer, ready for when I feel like a healthy sugar rush. The great thing about keeping these in the freezer means that they will keep for ages and you don’t need to worry about waste. Although, they are unlikely to last a very long time anyway. 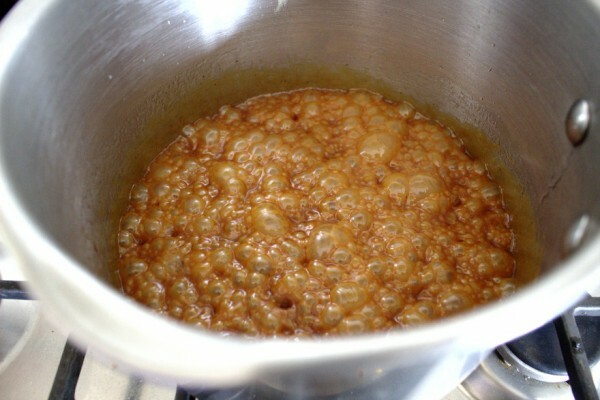 Since I have discovered the joy of making my own caramel, I am a little obsessed. If you have tried my Salted Caramel Nut Bark by now, you’ll understand why. It tastes pretty epic, requires only four ingredients and you probably have them all at home. It’s also really easy and quick to make. Do I really need to keep convincing you? 🙂 When I tasted the salted caramel, I just knew I had to pair it with white chocolate. A match made in heaven indeed! I like to make decadent yet healthy desserts. You’ll probably have noticed by now that my snack section is pretty jam-packed full of recipes. I love creating savoury dishes as well but there is something really special about creating a delicious sweet treat that I feel good about giving to my little girl. I love that moment when her eyes light up and I tell her she can have one because they are healthy and not full of horrible ingredients like most treats available in the shops. As an ingredient, cacao butter is expensive. 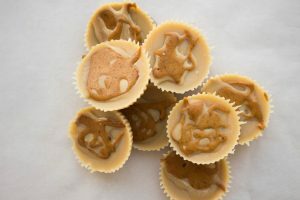 Making a big batch of these Salted Caramel and White Chocolate Cups can be costly but will last you a long time in the freezer if you can exercise some self-control! 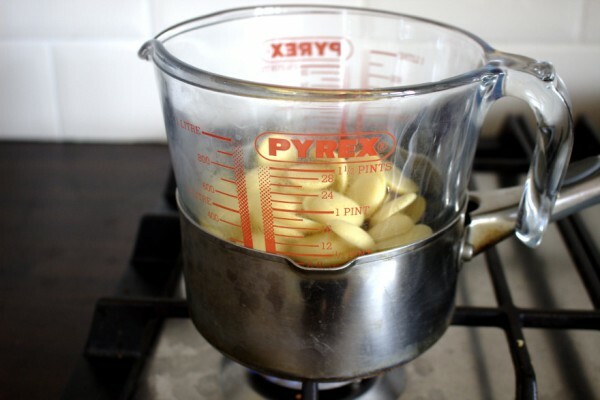 I am big believer in using the best quality ingredients even if it means buying them less often. I’d much rather buy good quality cacao butter and unsalted butter and make these for special occasions. Where do you get you cacao butter? This recipe looks delicious! Where are you based? I am in Ireland and I get it in my local health food store. 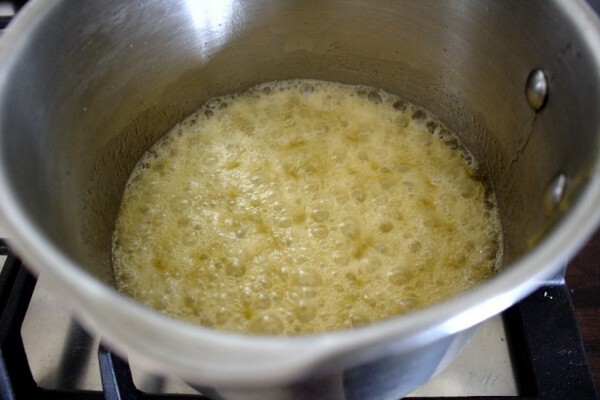 Make sure to get 100% cacao butter and make sure that it is the food grade one as apparently there is one which is only for making homemade soaps etc. Hope you like them! I made these and they are amazing!!! How do you do it? Everything you publish is awesome! I too had a very hard time finding the cacao butter and finally managed to find it at Whole Foods (in US). Not easy to find and even a store associate couldn’t find it easily! Hi Nataly. So glad you like these. They’re one of my favourites!! Cacao butter can be hard to track down alright but so worth it when you do 🙂 Thanks for your kind words! Amazing! I already ordered cacao butter to make these cups! I’m more than sure they’re delicious. Thank you for this delicious recipe . 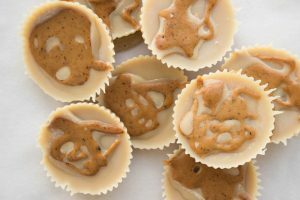 What can I substitute the unsalted butter in the caramel? These are delicious! How long are the good in the freezer for? Thanks! Yes straight from the freezer Marianne! !